Mirus has a few keen golfers amongst the team so we thought it was time they demonstrated just how difficult this game is, as they claim. The challenge was to complete 72 holes between sunrise and sunset, and of course raise money for our charity of the year; Sparks Children's Charity. 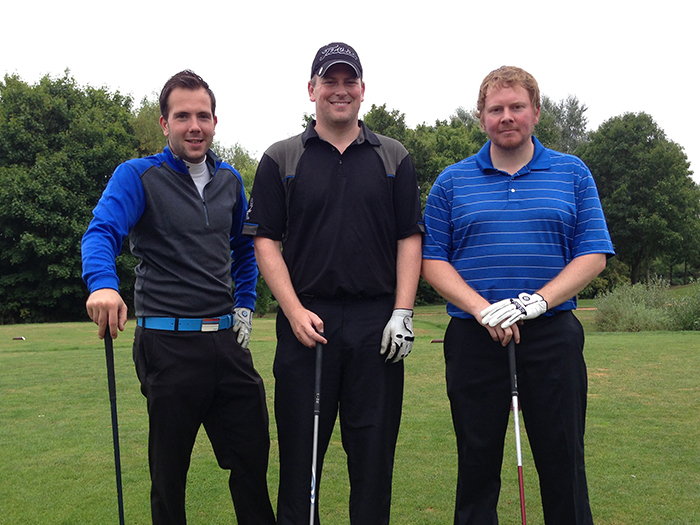 Dan Sharp, Peter Hack, and Chris Henson took on the challenge and were all smiles at the beginning of the day. The team raised their target £500 for the charity and have just about recovered after assuring us this was a very very difficult challenge. Chris Henson added: "Saturday was definitely a day spent recovering as stiffness, blisters and general old age pains took over but it was an enjoyable and worthwhile event! If you haven’t yet donated but would still like to, please do so on the following link. " We would like to thank Abbey Hill Golf Course for providing the four rounds for free allowing the team to complete this challenge locally.